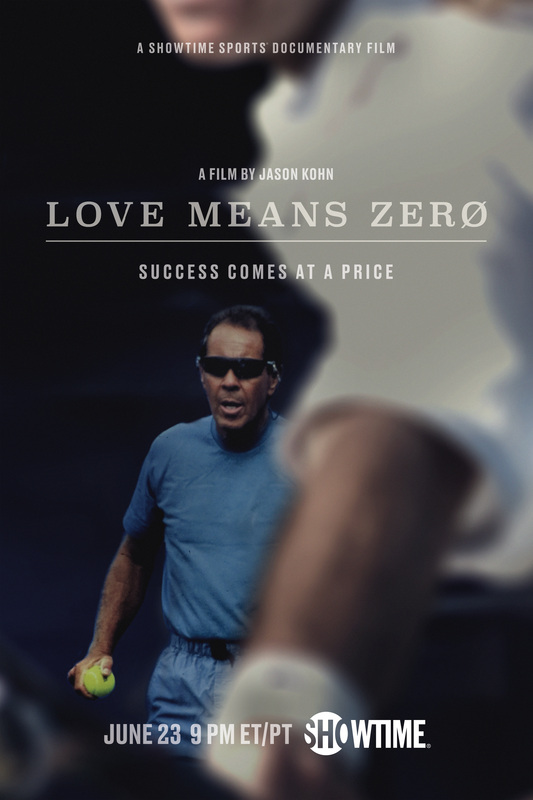 SHOWTIME will present the television premiere of the documentary LOVE MEANS ZERO, which tells the story of celebrated yet controversial tennis coach Nick Bollettieri and explores the cost of his all-consuming drive for greatness, on Saturday, June 23 at 9 p.m. ET/PT. From Showtime Documentary Films, LOVE MEANS ZERO features interviews with his former students and tennis prodigies, including Jim Courier, Kathleen Horvath, Carling Bassett and Boris Becker. The documentary made its world premiere to critical acclaim at the 2017 Toronto International Film Festival. To watch and share the trailer for LOVE MEANS ZERO, go to: https://youtu.be/Vz5xyeSFODE. Now 86, Bollettieri is a living legend. At his academy in Florida, he raised a generation of champions: Courier, Monica Seles, Andre Agassi and many more. No other coach has matched his success, his dominance or his fame. His greatness, though, came at a price. Eight marriages, financial upheaval and a dramatic break with his surrogate son and cherished student, Andre Agassi. LOVE MEANS ZERO tells the intimate and complex story of how Bollettieri became arguably the most famous tennis coach of all time. A Kilo Films production, LOVE MEANS ZERO is produced and directed by Jason Kohn (Manda Bala (Send a Bullet)). Amanda Branson Gill, Anne White, Jill Mazursky and David Styne also serve as producers.